The Easter bunny is hopping into town with some dank bud. 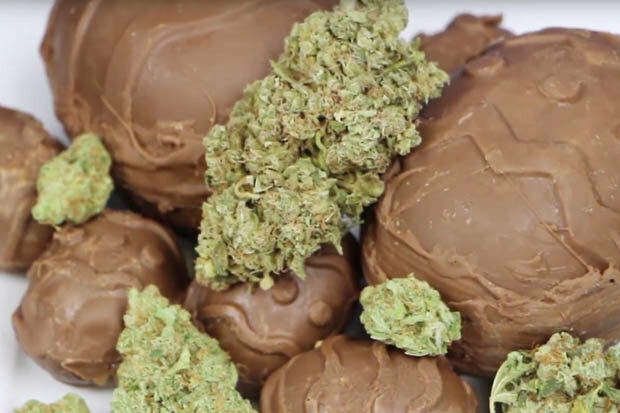 Make this holiday the most festive and 420-friendly yet by stocking your Easter baskets with these cute & colorful cannabis treats. Easter Sunday is a great holiday for stoners — there are plenty of sweet munchies to eat, chill activities like Easter egg hunting, and rewarding quality time spent with friends and family. On top of that, one of the most fun parts of the holiday is giving and receiving festive Easter baskets. Listed below are the 8 dankest cannabis treats you could hope to find in a goodie basket this year. This year, get your special honey bunny some chocolate ganache Easter eggs infused with THC from House of Cannabis. Easter just wouldn’t feel complete without festive chocolates, and these medicated morsels are the perfect choice. These delicious treats feature 175 mg of THC, making them way more fun to find than those plastic Easter eggs. Show off your stoner style this Easter by gifting or wearing a marijuana-themed holiday shirt. These dank shirts are great conversation starters and are hilariously adorable. This first top reading ‘Follow the Bunny he has Weed’ is sure to get the party laughing. Another good Easter option is the Stoner Bunny shirt, featuring a cute, smiling cartoon rabbit. This shirt is as precious as it is festive. Finally, if you’re looking for an option that’s less cute and more cool, the smoking rabbit t-shirt might be the perfect fit. The Easter Bunny on this shirt looks high as hell and ready to hunt for some eggs. A gorgeous pastel bath bomb infused with CBD is the perfect present to give for Easter this year. These bright and colorful orbs look beautiful sitting in a gift basket, and are sure to excite any cannabis lovers. CBD doesn’t get you high, but it is effective at reducing pain, anxiety, and the symptoms of other illnesses. When applied topically, CBD can reduce inflammation, redness, and other skin disorders. These nourishing bath bombs are packed full of CBD and essential oils to relax both the mind and the body. The best basket stuffers for Easter are brightly colored and bring a smile to your face. This Dope on a Rope Soap made from hemp and scented with cannabis and essential oils is a definite crowd pleaser. This hemp soap has a fresh smell and a cool marijuana leaf design. 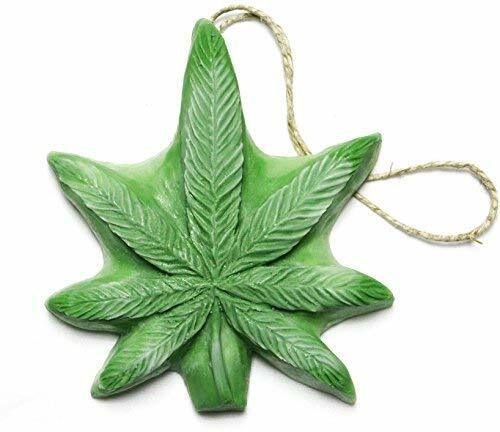 Any festive stoner would love to find this in their basket! Smoking weed and creating art go hand-in-hand. The special stoner in your life would be thrilled to find an adult coloring book in their Easter basket. Coloring is a relaxing activity that’s as family-friendly as it is 420 friendly. 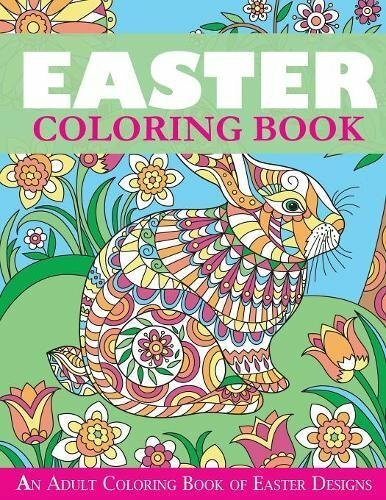 This Easter-themed adult coloring book is filled with beautiful designs that celebrate springtime and joyous holiday fun. Try to stay inside the lines! 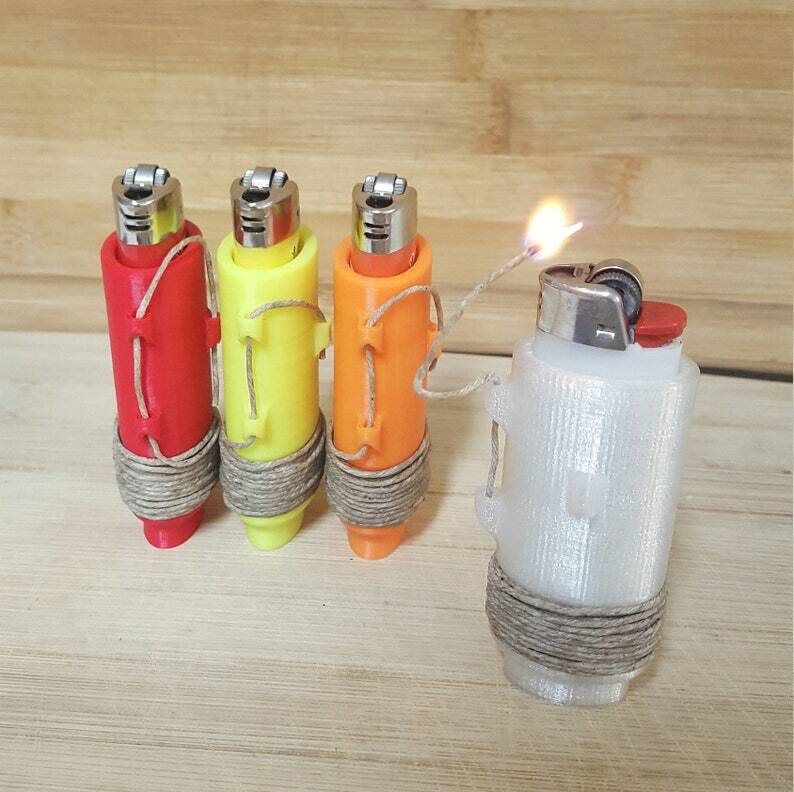 A handcrafted lighter sleeve loaded with 8 feet of hemp wick is a great gift for stoners who want to avoid inhaling butane. This smoking accessory comes in a wide range of colors that make it a fun addition to any Easter basket. This sweet treat may not contain THC, but it still makes the perfect stoner basket stuffer since it’s so funny and delicious. When you start getting the munchies this Easter, you can just pull out your bag of bunny farts and chow down! 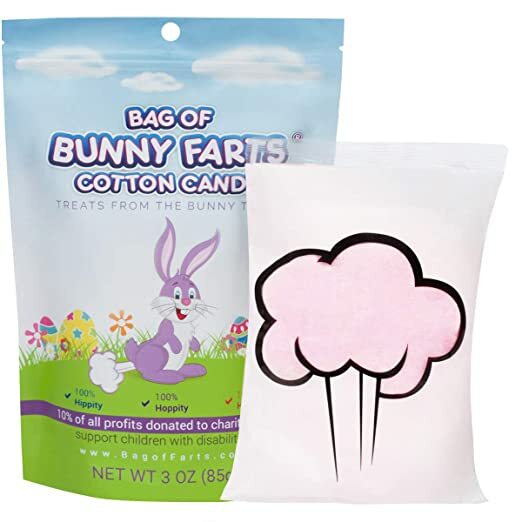 This hilarious bag of cotton candy is a unique gift that will have the whole party laughing. The best gift you could ever give a stoner is actually pretty obvious — weed! Getting some dank bud would make anyone happy, so this Easter, give the gift of a seasonally-appropriate strain. Do you celebrate the holiday for religious reasons? Cannabis strains like Jesus OG, God’s Gift, and Heaven’s Scent have beautiful, holy names and enough THC to answer your prayers. Do you like Easter for the delicious and colorful treats? Settle your cravings with sugary strains like Candy Kush, Sweet Tooth, or Chocolate Mint OG.